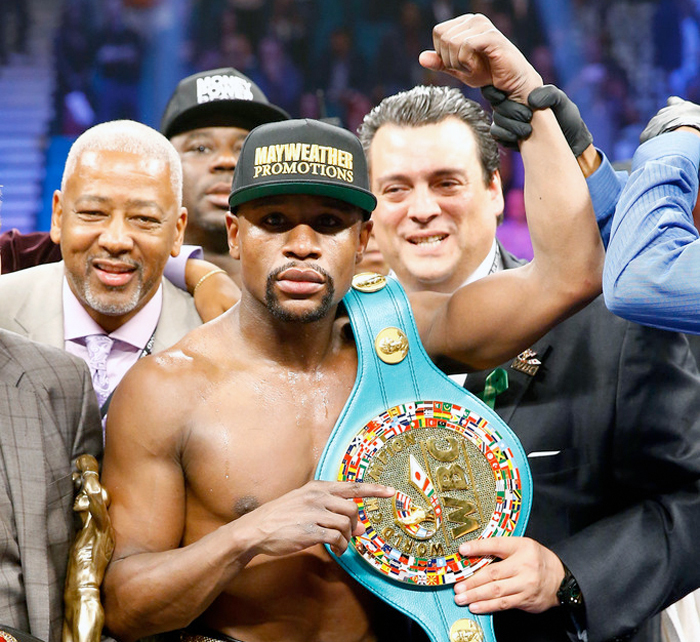 Floyd Mayweather has never been one to follow the rules or the lawso when he failed to comply with the rules set forth by the World Boxing Organization, it stripped him of one of his titles. Floyd Mayweather Jr. has been stripped of the welterweight world title he won after beating Filipino Manny Pacquiao this year for failing to comply with rules, the World Boxing Organization said on Monday. Mayweather, who improved to 48-0 by beating Pacquiao in May, missed a deadline by which he had to pay a $200,000 sanctioning fee from the fight and vacate the junior middleweight title he also held, the WBO said in a statement. The WBO said it is against rules for boxers to hold world titles in multiple weight classes and that Mayweather had to indicate which weight division he would retain. Mayweather, who finished ahead on all three scorecards of what proved to be the top-grossing prize fight of all-time, had until 4:30 p.m. ET last Friday to advise the WBO of his position. "The WBO World Championship Committee is allowed no other alternative but to cease to recognize Mr. Floyd Mayweather, Jr. as the WBO Welterweight Champion of the World and vacate his title, for failing to comply with our WBO Regulations of World Championship Contests," the WBO said in a statement. Mayweather, who earned over $200 million from the fight which generated a record pay-per-view revenue in the United States of $400 million, has two weeks to launch an appeal. Floyd should contact the Department of Justice because it's possible he's being discriminated against because he didn't understand the rules -- because he can't read.